After years of refusing to wear a Christmas jumper, I finally gave in. This festive season, I’ll be sporting one – my very own design! It’s funny how cyclical things are. 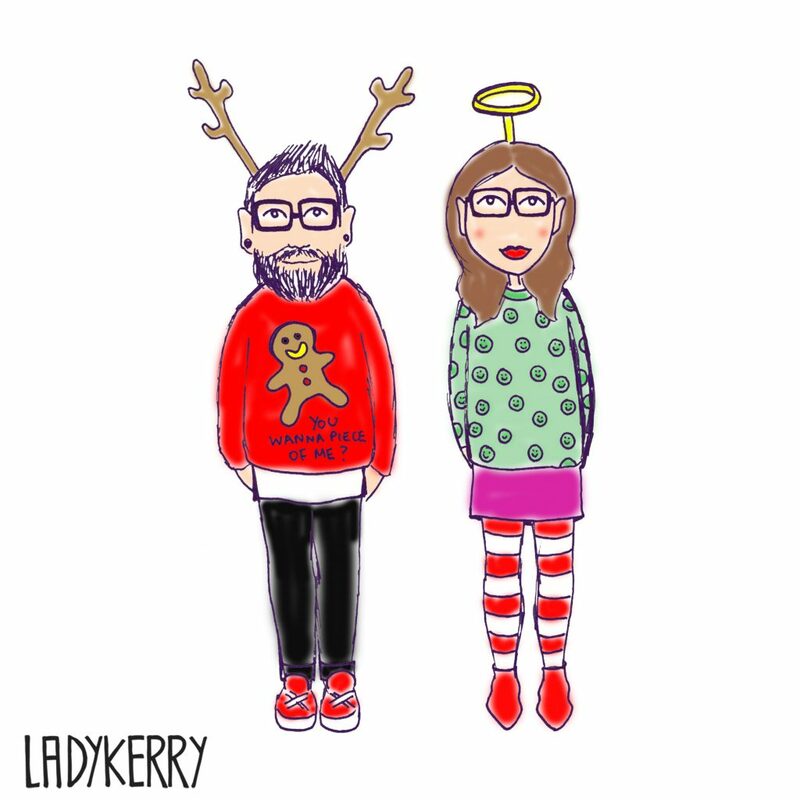 Last December, I drew my partner and I wearing some funny Christmas jumpers. Everyone loved my boyfriend’s (illustrated) jumper. Fast forward nearly a year and I decided to make the sketch a reality. As cute as the original illustration is, I had to redraw it to make it Christmas jumper friendly. I started off by hand-drawing the design then scanned and converted it using Adobe Illustrator. From there, I was able to digitally add colour. 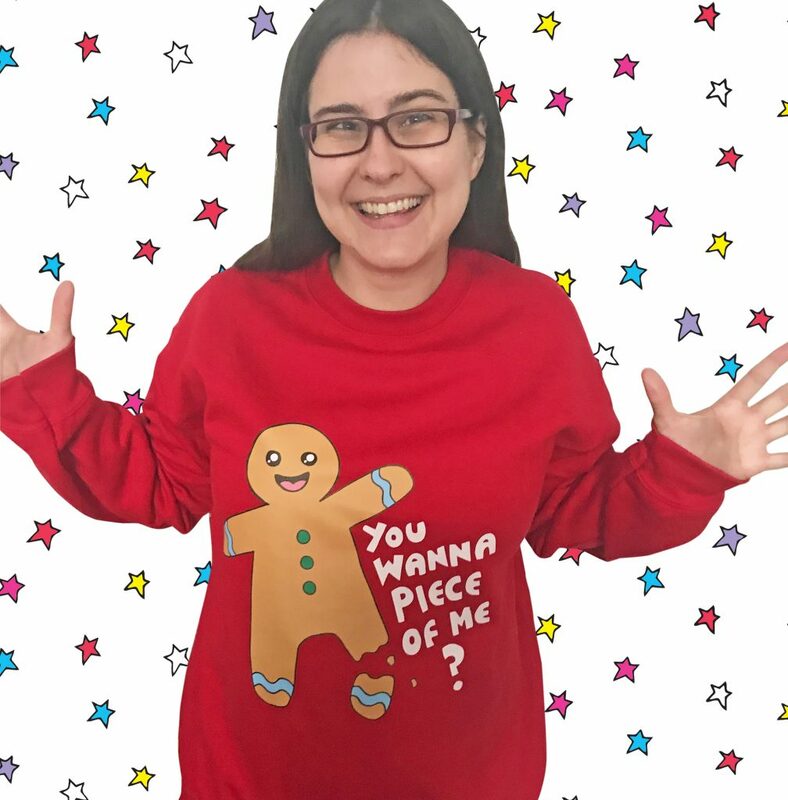 I sourced some super snuggly jumpers (in a vibrant red, of course!) and got some samples made to test the quality. I absolutely LOVE the samples! The jumper has turned out super snuggly and super cute with just a pinch of attitude. Here’s a cheesy photo of me wearing one of the samples. Guess what – you can look just as cheesy as me! I’m launching it at special preorder price of £25.00… if I get over twenty preorders though, the price will go down! Yay! So feel free to share the jumper with anyone you think may love it, although be quick – the offer ends 1st October.